A weak upper low centered over SW Mediterranean makes some progress towards east while gradually weakening. 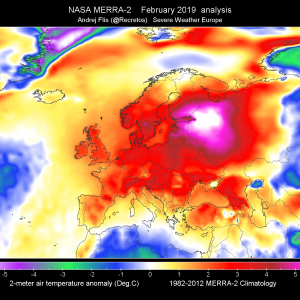 A new upper trough with a frontal system affecting western Europe. A SLGT risk has been issued for extreme south UK into NW France and W Belgium with threat for heavy rain, severe winds and some tornado threat. A SLGT risk has been issued for Sardinia, Corsica, Sicily, Tyrrhenian sea and surrounding seas with threat for heavy rain and waterspouts. 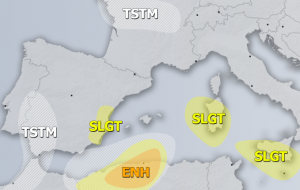 A SLGT risk has been issued for NW Iberia with threat for heavy excessive rain and severe winds. 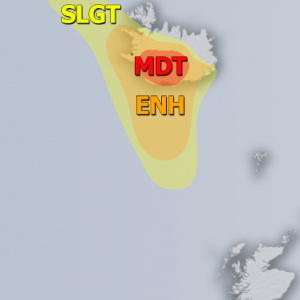 Some storms and strong winds should also occur along SW Norway coast but too marginal threat to require SLGT risk.